I just finished the helmet and am about to begin the dragon and plumes. It’s wonderful. Do you use a pen or something to mask the white edges on the paper? Do you work from LDraw LEGO parts that you import in Pepakura Designer? I would like too to make a horse, but I suppose it’s rather dificult and time-consuming to create a model that fits perfectly like yours. Hi there, I’m happy to hear you’re enjoying your build of the papercraft Black Knight! 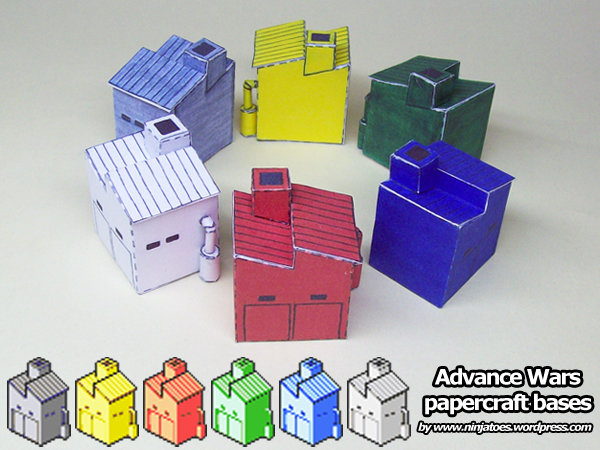 Indeed I use markers or pencils to colour the white edges, it’s a simple but effective trick that makes a paper model look extra good, especially paper models with dark colours. If you use markers though, you have to take into account that the ink from the markers will soak into the paper a bit, so it often turns out darker than you thought: always try it out on a scrap piece of paper first! Have fun with the rest of the build, the plumes have some really thing and small pieces, so be sure to “pre-shape” (curve / fold them in the shape they need to be) them as well as you can to make it easier to glue them together. Man, these models are amazing! Any chance you’ll make them for pepakura designer in the future? I’d really like to scale them up to make giant figure for my nephew! can you create a Lego Horse for the Knight?